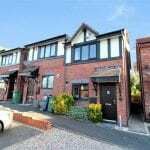 A conveniently located starter home not far from either Dudley or West Bromwich including a private, enclosed rear garden, three private parking spaces and easy access to local amenities including good schools, a convenience store, social club and a post office. Benefiting form recent upgrades within the last two years including boiler replacement and uPVC double glazing. 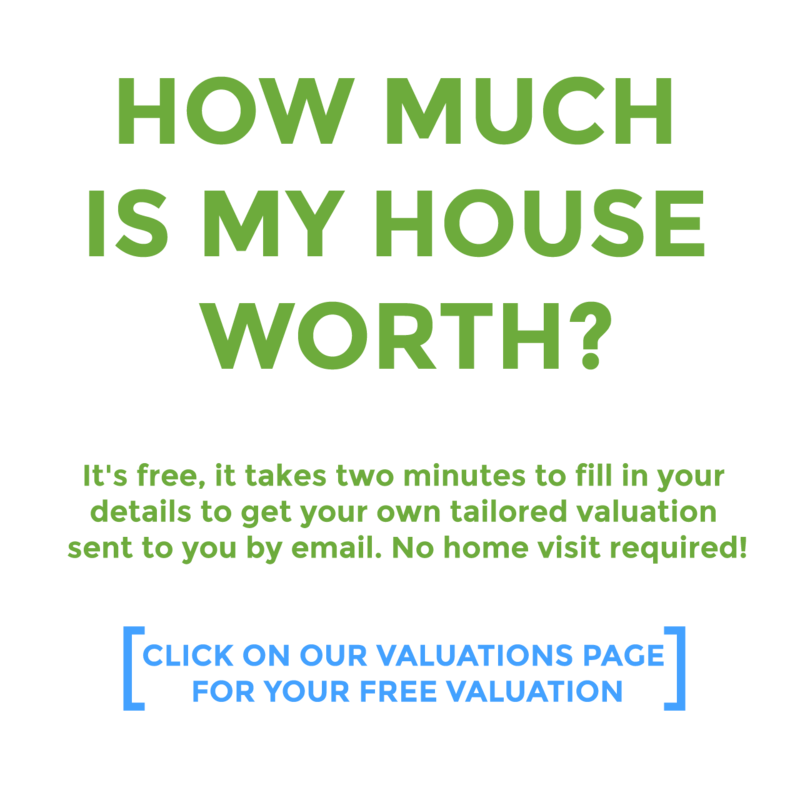 Ideal for first-time buyers or downsizers the property may also suit a buy-to-let investor looking to expand their portfolio. 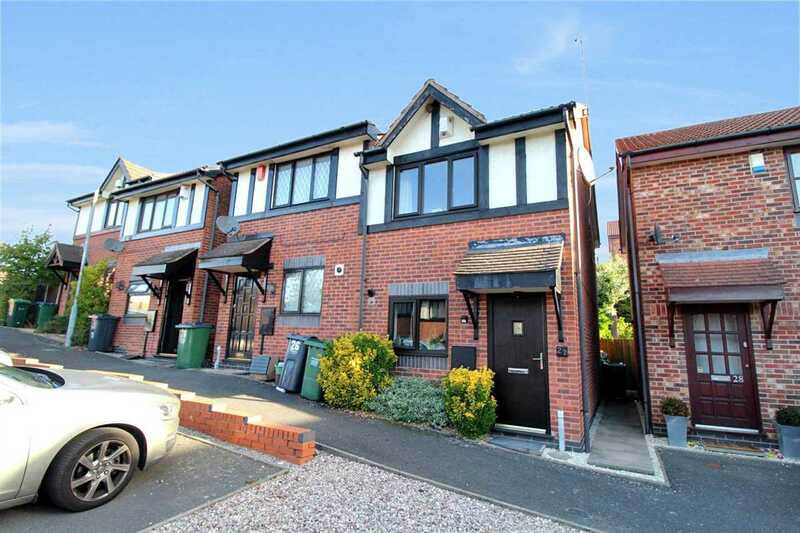 On a cul de sac comprised of attractive, mock Tudor semi-detached homes, the property is within a couple of miles east of Dudley and four miles of West Bromwich. Dudley Golf Club nearby provides a swathe of open green space to the east of Springfield, with the Warrens Hall nature park a little to the west. Buses from stops on nearby Dudley Road offer regular services to Birmingham and Wolverhampton although amenities within easy reach include a Chinese takeaway on Wendover Road, a convenience store, a post office, a couple of Indian restaurants and the Springfield Social Club on Dudley Road. Springfield Primary School, which was rated as a good school by Ofsted in 2016, and St Michaels Church of England High School  also rated good in 2017  are both within a mile of the house while nearby Rowley offers a hospital, pharmacy and doctors surgery. With dedicated parking outside, established shrubs adjacent to the front door add a splash of colour to the front of the property. A flagstone path leads to a head-high timber gate to the side of the house which allows access to the enclosed rear garden. Here, French doors from the lounge open onto a flagstone patio, with a timber storage shed to one side and steps to the other allowing access to the raised lawn which is surrounded by climbing plants, evergreen shrubs and flowers. A gravel path also leads to a private, paved sun terrace at the foot of the garden while some security is offered by external floodlighting and a security alarm system. The front door opens onto a carpeted reception hall, stairs rising to the first floor ahead while internal doors open onto the kitchen and the lounge/diner. In the kitchen, red and yellow chequered floor tiles offer character while wooden cupboard and drawer units in white have been fitted beneath rolled laminate worktops. White splashback tiles with black accents can be found above all the cooking and preparation areas while the design also incorporates a stainless steel sink with drainer, an oven and four-ring gas hob beneath an extractor. Free standing washing machine and fridge/freezer included. The lounge is carpeted with the eye drawn to a feature fireplace including a mantle in white with a marble hearth. Blue, patterned wallpaper beneath dado rails also adds to the sense of warmth while the room also includes a storage cupboard ideal for large home appliances, a wall-mounted radiator, a TV point and the double door to the rear garden. The stairs to the first floor rise to a landing with internal doors opening onto both double bedrooms, as well as the house shower room. The bedroom to the rear - currently used as an office by the vendors - is fitted with a wood floor and wall-mounted radiator and includes a feature wall with black-and-white, floral-patterned wallpaper as well as a built in cupboard. The larger second bedroom is carpeted, includes a wall-mounted radiator and overlooks the front of the house. The shower room is equipped with a cushioned floor, a low-level WC with dual flush and concealed cistern adjacent to a hand basin with chrome mixer tap located beneath an illuminated mirror. A double-doored storage cupboard can be found beneath the sink while a glass-and-chrome cubicle with a hinged door is fitted with a power shower. The property benefits from both loft and cavity wall insulation, double glazing and a programmable, gas-fired central heating system with separate thermostat and individual controls fitted to all radiators. There is low-energy lighting fitted in the majority of fixed points.